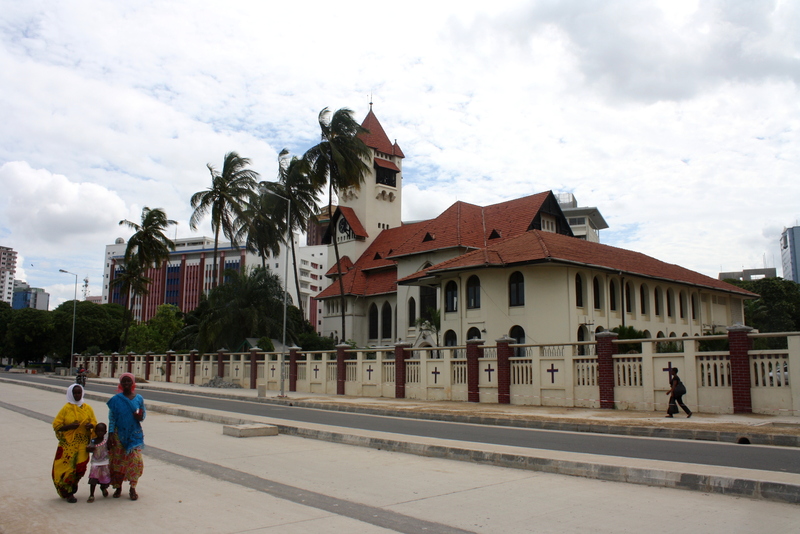 A German church in downtown Dar. 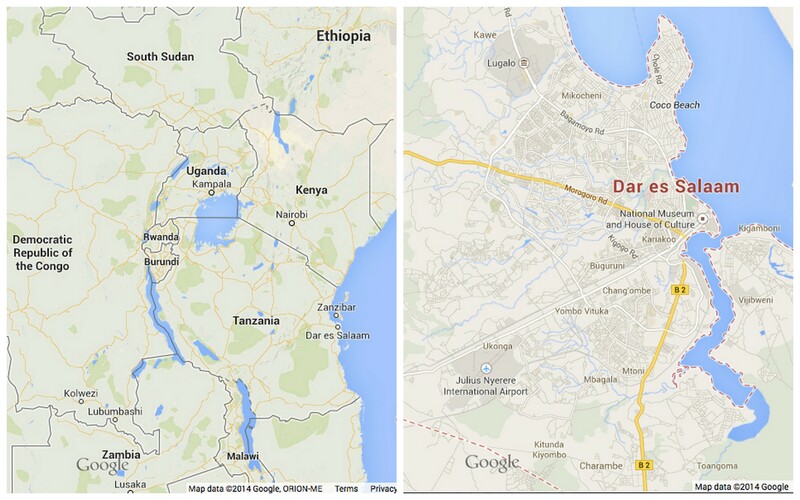 Dar is one of the fastest growing cities in Africa, growing at an astonishing 8% per year. It is purportedly due to this that the city has been unable to keep up with the rate of growth and accommodate all of its residents, leading to the growth of unplanned settlements. 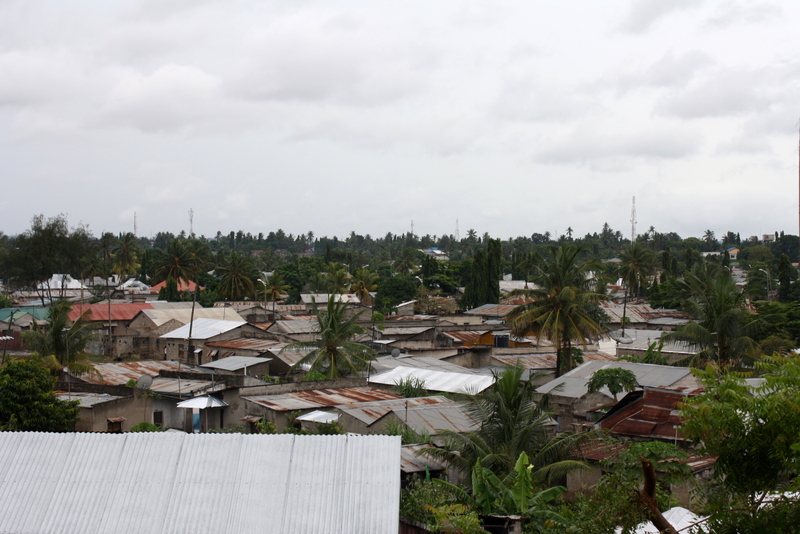 80% of the population of Dar lives in unplanned settlements, most of which lack at least a few forms of basic services, including access to clean water. Still, “unplanned” and “informal” do not automatically equal poor desolate slum: many richer residents of the city live in informal areas, taking advantage of the lack of rules to build as they like and selectively get services routed directly to them. It was rainy season while we were there, meaning an otherwise spectacular sunny day could turn gray in minutes, followed by sometimes only 20 minutes of relentless pouring rain heavier than any I’ve ever seen. No one carries an umbrella as that is pointless—you either have to find shelter or embrace getting soaked. Cars that are driving simply stop in the road to wait, as driving in such conditions is near impossible. Flooding in front of our hotel. 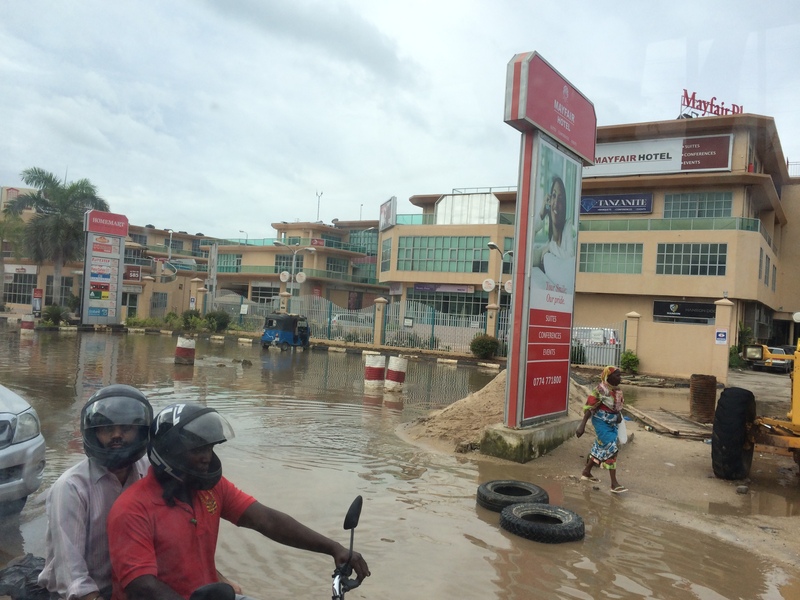 But flooding in Dar is not so much a result of the rain but of the lack of basic infrastructure, including a drainage system, throughout most of the city. This was perhaps one of the most striking things: it wasn’t as if a central main city contrasted with a peripheral, out-of-sight, “informal” city that lacked services. In Dar, there is no norm of formality. Informality is the norm. In fact, an entire system of informal land rights exists, quite unique in comparison with other cities in Africa and elsewhere. Perhaps even more apparent is inequality, manifested spatially across the city. The very developed port area is the site of much recent international investment, which led the government to evict over 30,000 people from Kurasini ward in 2007. The Northern area of Oysterbey along the coast is populated by richer residents and expats and in a beautiful stretch along the coast, opulent embassy buildings occupy massive tracts of land overlooking the ocean. There the roads are smooth, whereas in other areas of the city potholes abound (if a road exists at all). But inequality is also obvious in smaller contexts: behind our hotel, a private, walled residential development contrasted sharply with a poorer neighborhood of haphazard shacks. 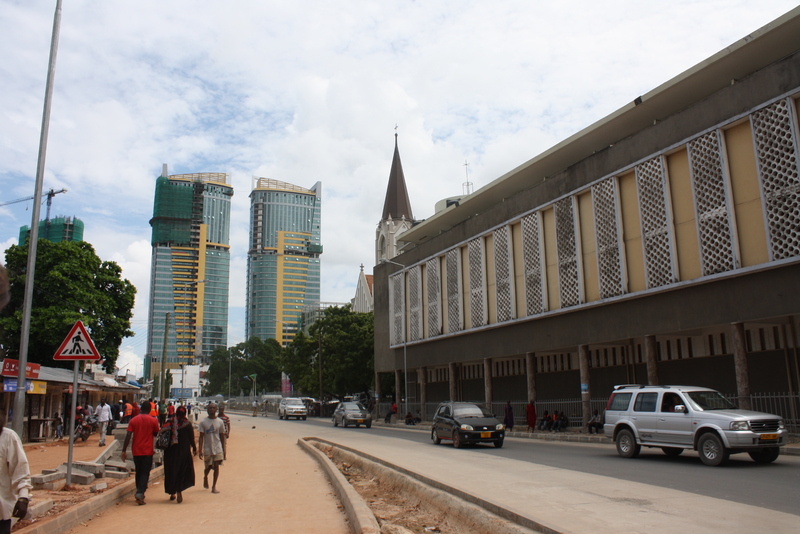 Most likely, both were “informal.” Dar es Salaam puts into question the formal-informal binary. 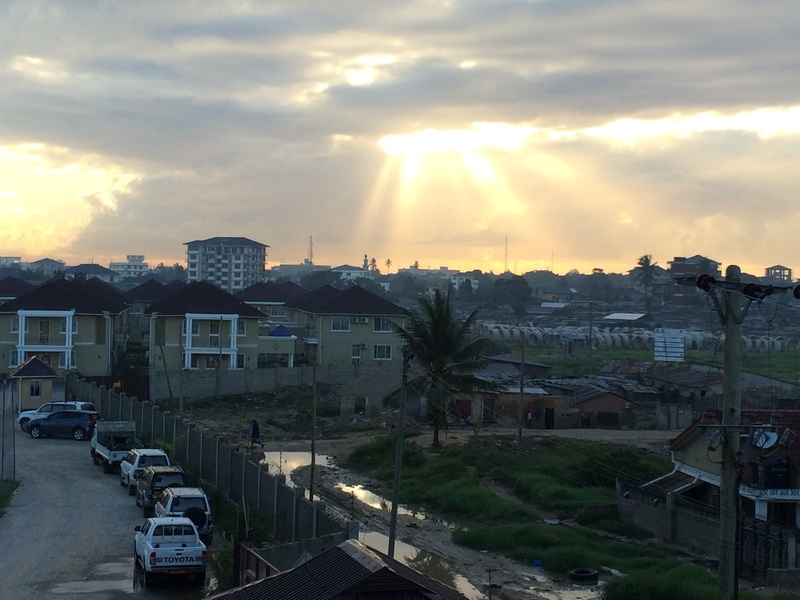 In Tanzania, like elsewhere, the planning discourse continues to revolve largely around formalization, or the granting of formal land titles to those living in informal settlements. But does this necessarily mean better access to services? Does it address the problems of poverty and inequality in the city? Does it do much more than perpetuate the idea that formal = good and informal = bad? A waste pond in Vingunguti. Waste from the rest of the city is dumped here, in an informal settlement area. 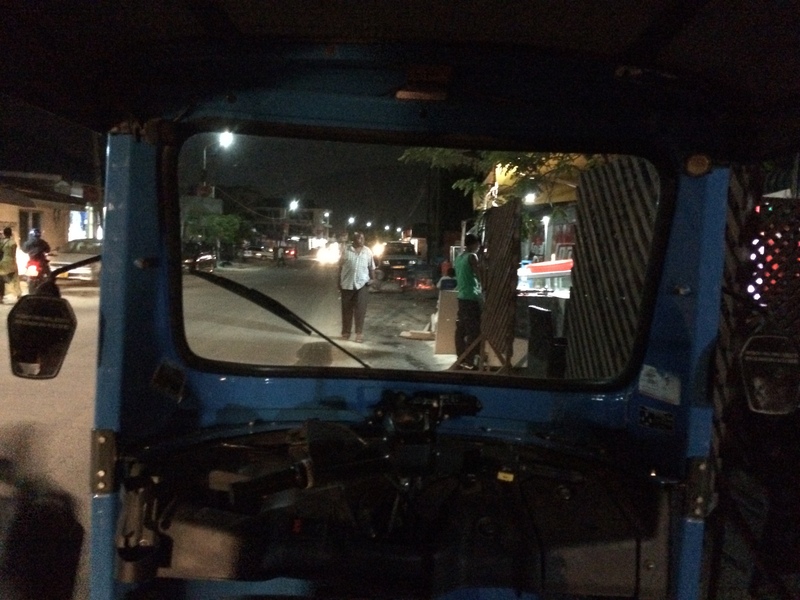 Passengers wait for a dala-dala, the city’s informal bus system. Political campaign poster for Chama Cha Mapinduzi, which has ruled Tanzania since independence. In front of Kariakoo market. Ndezi, Tim (2009), “The Limit of Community initiatives in addressing resettlement in Kurasini Ward, Tanzania”, Environment and Urbanization Vol. 21, No.1. Roy, Ananya, (2005) “Urban Informality: Toward an Epistemology of Planning,” Journal of the American Planning Association, Vol. 71, No. 2, 147-158.